It's been a long time since I've posted...keeping up with life, family, church, work, and of course beekeeping. I had a message from a family member regarding these new "Flow Hives" and what my thoughts were. After I checked them out online, I was just amazed - the more I read, the more I liked...but wait - then I thought, maybe this was just a hoax of some kind, but when I saw Michael Bush comment positively on this amazing new invention, I knew it was for real. We will surely be adding these into our system at Lehmann Beekeeping and Apiary. We use only Mediums, so I'll have to invest in some Deeps. To the inventors of the Flow Hive - BRAVO! What an incredible, innovative invention! As a beginning beekeeper advances his or her skill and gains more experience in our field, usually the desire to expand their hives and bee yard or apiary increases. In this regard, they are usually faced with two major constraints, time and capital. 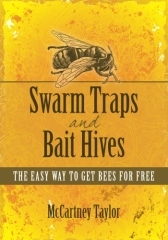 McCartney Taylor tackles this predicament with his pithy, but thorough book on swarm traps and bait hives. Much like a manual, Taylor succinctly examines the “biologically driven process of swarm trapping.” He takes the reader step by step through the process, while at the same time addressing the science of it all with the “who, what, when, where, why and how.” Additionally, throughout the book Taylor interweaves his beekeeping successes and mishaps to illustrate and highlight the do’s and don’ts of swarm traps and bait hives. While there are plenty of decent photos in the book, which act as visual aids to better understand the content, I would have liked to have seen a drafted model of his design. While a drafted model is not necessarily needed (he does provide an ample and thorough written description of the dimensions and how to built them), I felt the book could have been stronger had he included a drafted model (like from Google Sketchup or something similar) of his design. Finally, I would be remiss not to include that his style of writing uses wit and humor in a refreshing way - as if you are having a conversation together over coffee and a bit of honey. I found this to be quite stimulating whereby I was never bored with the content or format because everything flowed efficiently. He set out to inform his readers “the easy way to get bees for free,” and he delivered handsomely on his promise. I highly recommend this book for beekeepers at all experience levels and ages who desire to expand their hives through use of more economical and time-saving way. Some photos from our inspection! We did a check-up and here are a few photos! Can you see the Queen in photo II? SWEET! Some of y'all have requested a few up-close photos of our honeybees. Here they are. Click on the photo to enlarge. Yes, it is true! Queen Beeatrice at the Hodges estate is getting some extra room. When we did an inspection the other day, we saw they had expanded seven frames of their hive…our rule is to add another super if seven of the ten frames are filled…and that is just what Nini did – all by herself! Nini is learning to work honey bees and is doing an AWESOME JOB! Check out the great photos! WAY TO GO NINI! Let's get some honey baby! Here at Lehmann Beekeeping and Apiary, we have had a small honey flow because of the drought. This being the case, we will not be able to capture, or rob, as much honey as we would like. However, today we saw our honey supers (we use mediums now for interchangeability) were all filled. We decided to rob one frame from two different hives. We took the frames and de-capped them and extracted the honey. We have a center-fuse system, but for these two frames, we did it the old fashioned way. The honey has an amazing taste – it is spicy. As you know, honey is infused with the flavors of the nectar from which it was made. If you taste honey from an orange grove, it tastes citrusy and is light in color. Lehmann Beekeeping and Apiary’s honey has a fusion of nectar from several different flowers – one of the main flowers being the purple wild verbena. We think this is what is giving our honey a very natural, but spicy flavor. We used our extra queen to split one of our strong hives yesterday. To begin, we had ordered an extra queen to install in what we thought was a queen-less hive at the Hodges Estate. After the new queen arrived and we were prepared to install her in the hive – we noticed some capped brood…upon further inspection we noticed some eggs, and then we saw the queen, most affectionately called Beeatrice. We were so happy that the hive was in good shape. We took our extra queen back to the Lehmann Apiary, and we did a split. A split is basically making one (strong) hive into two hives. From our strong hive, we took select frames which had some capped brood and nursing bees on it and placed it in a new medium super. We put our extra queen inside the super and closed it all up. After enough time has gone by, we will check and see if they are doing okay. Good News! Queen Beeatrice Lives! We have some good news! Previously we were worried that the Hodges queen bee, affectionately named Beeatrice, was missing. So this morning we were going to install a new queen – that was, until we found Beeatrice! Hooray! She was on frame one, just happily going around laying eggs. We saw a bunch of her handiwork – cute little rice-like looking eggs in many cells and we even saw some capped brood! We were all very happy! Long live Queen Beeatrice (and may her fertility rein)!! So we’ll take our extra queen and split a hive back at the apiary in Lexington! Thanks for reading! It's been so dry here the bees have been seen drinking water out of our plant trays. Check out the photos! We did an inspection at the Hodges Estate yesterday, and saw some potential problems...we couldn't find the queen or any eggs - so perhaps she isn't there, or perhaps we missed her. We will order a new queen just to be sure. Also, we saw some bur comb. We quickly removed it for rendering. I think Dr. Hodges will render it into a wood polish. Check out the photos. Here are some recent photos we took of a cut-out we did in Dime Box. This was HUGE! Do you want honeybees at your farm or home? Some families have asked us about starting their own backyard beekeeping project. They have a garden or farm and want their own honeybees to help pollinate their flowers and vegetables. They want to help “do their part” for honeybees, and enjoy the benefits of keeping their own bees, harvesting honey, and rendering pure and beautiful beeswax. Here at Lehmann Beekeeping and Apiary, we will help you with your backyard beekeeping project. Whether you want to start your own hive, or just learn more about beekeeping and honeybees, we are here to serve you. Feel free to send us an email at texasbeekeeping@gmail.com for more information, and any questions you may have. We picked up the bees yesterday and installed one hive at the Hodges Estate in College Station, and moved the rest to the apiary. Here are a few photos, starting with the hive in College Station. 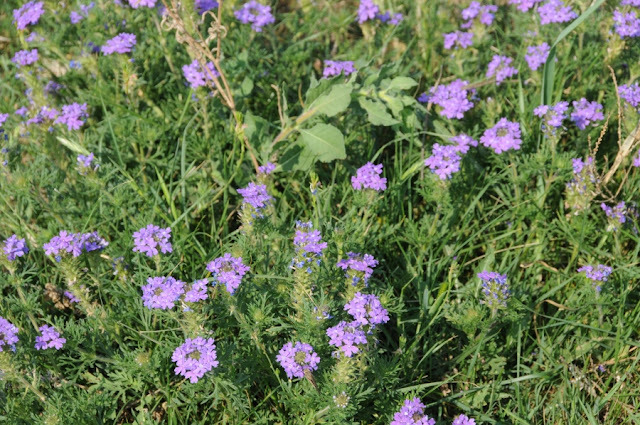 Lehmann Beekeeping and Apiary is located in central Texas. We do bee-rescue, removal, and education.